Tim De Cotta on Getai Group's inspiring soul mission: "Believe in Singapore’s music scene"
Founded by Timothy De Cotta, Lionel Ang and Carmen Low in 2015, the Getai Group has been absolutely resolute and tireless in their efforts to push the local arts and music scene to new heights. Through well-curated and well-attended events such as Getai Electronica, Getai Ethnica, Getai Holidays, Getai Mash+Ups and many others, alongside one-off tie-ups with organizations such as Noise Singapore and the Discovery Channel, the trio have constantly championed local original content at every turn and in every instance. 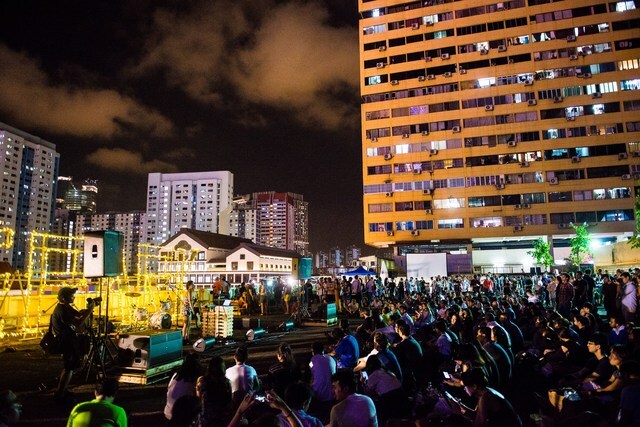 With an inspiring philosophy centered around getting the Singaporean populace to believe in and embrace the arts unique to them, its been incredibly encouraging to see that they've attracted over 10,000 attendees to their local-centric, alternative-themed events over the last year or so. And going even beyond simply throwing fun concerts and parties at off the beaten path venues, the Getai Group's courageous and uncompromising programming has slowly but surely stoked a healthy appreciation for homegrown culture within our increasingly Westernized-society. 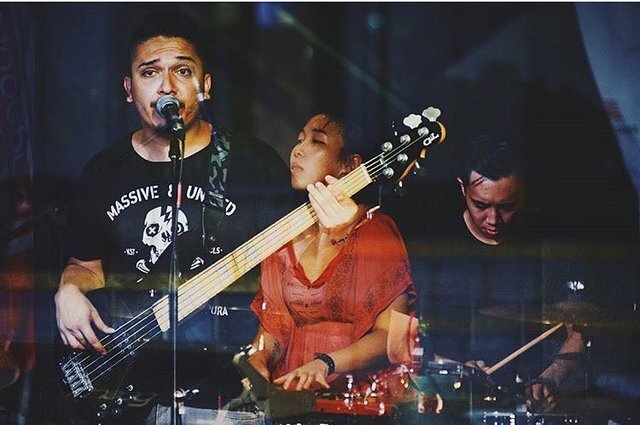 We talk to Getai Group's passionate co-founder and bassist extraordinaire Tim De Cotta about how it all came together, their vision and goals, the considerable challenges they've faced, the lead-up to Getai Soul 2016 and the hardworking people behind the scenes. Hi Tim! So take us back to beginning, how did the Getai Group begin? Getai Group happened as a result of a snowball effect of sorts. Getai Electronica was the first ever event that took us all by storm as to the response and scale that we were not used to, nor did we expect! So, back then Lionel Ang and Carmen Low who were about to set up Lepark (but not for another month or so) chanced upon TAJ in January at a show we were doing at the Esplanade Waterfront Stage for a programme called All Things New. They fell in love immediately and approached me after our second set and asked if we would be interested to do a rooftop show — and I said yes without hesitation! It was a mix of serendipity and an openness to opportunity that came with experience too, actually. I would have written them off if it happened a year earlier as I didn’t know who they were, nor did I know about the prospects and resources they had with them. But something pushed me to say yes. We exchanged numbers and within the week I went with Lionel up to the rooftop of People’s Park Complex, and got blown away. So tell us, how did that famous first Getai Electronica event come together? TAJ was my priority — still is these days, we’re pretty much family — as we released our debut EP a week before Getai Electronica (which took place on 7 February 2015), but when I saw the rooftop, I immediately thought it would be a waste just to have a single band using such an amazing space, especially with that kind of view of the city skyline. So, I proposed to hold a mini-concert of sorts, ghetto-style, for five bands to play from 5pm to 10pm. I called who I thought would work as a nicely programmed lineup and within two days, got the interest and confirmation of Spacedays, Disco Hue, .gif, TAJ (of course, duh) and The Good Life Project! All this, was put together a week before the event day, mind you. Pretty easy to sell a rooftop gig to anyone, basically. Lionel, Carmen and I then banded together to pull our resources in contacts, F&B, sound and marketing — but we didn’t really do that much, and before we knew it, this “underground rooftop party” was spreading around social media. Coconuts and then Bandwagon took it up and then it spread to other online editorials and social media, and soon it was also picked up by more mainstream media using their online portals. Seeing that it was such a last minute thing, we assume the set-up must have been extremely rushed and DIY? We were total noobs at that point, using very basic equipment, which we carried ourselves with the sound guys. We also used crates (with gloves) as a stage setup, which we, and all the musicians, carried and stacked ourselves too! It was basically an event and idea for the musicians that was also directly executed by them. It was really fun, carrying stuff in the hot sun and making the set-up come alive with our own hands. Everyone didn’t really know what was in store but somehow there was an unspoken belief in what we were doing. Soundchecks and setups saw delays with the threat of rain, but with the gung-ho spirit within all of us, the bands were happy with a line check each and they proceeded to rock the rooftop! Did the large turn out encourage you guys to take it a step further? We expected a crowd of 200 people or so, but as the night unfolded, we saw a crowd in excess of 1000 people come to chill and stay till the end! We were really amazed and everyone was so excited and on a high! The wonderful thing was that everyone was there to experience local original content, of which all of us had been patrons of since day one, and finally we had a sizeable response to it. Needless to say, our first outing was a resounding success but when the high died down in the following week we questioned whether or not it was just a fluke; a combination of a host of the right elements. We then did Getai Ethnica on 2 May 2015 and saw even more people turn up. We immediately then saw we had something there. Between, Lionel, Carmen and myself, Getai Group was then formed in July. We always think within the box and don’t realize that it is just an illusion. We are our own limits. Limits to life, expression, experiences and ultimately happiness." In the year since, the Getai Group has been very busy organizing a variety of events. Which have been your favourites? We recently did a Noise Singapore pop-up event called Pop-Up Noise: Riverside Flow and it saw us programme 30 acts over two days — live music, art and dance alongside Clarke Quay Central and Riverside Point! This was one of my personal favourite projects to date, as it really pulled quite a few different elements in our arts scene to come together as one, and create a creative flow over the Friday and Saturday when it took place. This event was the first time we worked with the National Arts Council, who have an amazing bunch of people within it, by the way. Gives us hope! The event saw five different performance areas inside the malls — in a fountain, a busking point at the Read Bridge, alongside dancers and drum groups roving around the expanse of our layout, which spanned along the river from Central to Riverside Point. There were full bands, DJs, live artists doing graffiti on a false wall, dancers moving around everywhere and interacting with the crowds, artrists challenging themselves to busk their original material and an overall community vibe that we managed to create with this event. It was heartwarming and such a boost for the belief in what we were doing. A timely reminder as to where our hearts were with regard to what we were trying to achieve; which is the belief in ourselves and our identities as Singaporean people. We ultimately want to make people have fun, and learn to live and love and laugh in their lives, especially when a lot of Singaporeans struggle to find who they are when they are so caught up in chasing the things that don’t matter in such a pressure-filled society. We’ve had the chance to bring a lot of smiles to otherwise straight faces, and when that happens it's an infectious and beautiful thing. As successful as you guys have been, there must have been a number of obstacles. Could you describe some of the challenges the Getai Group has faced? We’ve done a host or corporate-tie ups to with Discover Channel, Mercedes Benz and Wine Fiesta to name a few. These are always more challenging, as we have to sell the idea of using local original content in an event that they have engaged us for, and so far we’ve managed to convert some otherwise skeptical clients. Small steps to a bigger picture, we say. Singapore isn’t the easiest place to let your hair down. Let’s be serious about this (laughs). There’s a ton of red tape when running an event, then on top of that, you have to convince people why they should come, when you already know they will love what they experience. It’s kind of who we are as Singaporeans. We’re practical skeptics. We formulate all the ways something cannot be done even before we finish thinking about what it is that needs to be done. “Surely cannot one lah! Damn lecheh lah!” is a common sentiment and, I would daresay, a limiting factor to how Singaporeans express and create. We always think within the box and don’t realize that it is just an illusion. We are our own limits. Limits to life, expression, experiences and ultimately happiness. But that’s what Getai Group wants to help with. To do things that people can believe in and feel proud of. To enable a vision that would not have been there without the push we want to give, to people who experience what we do. It’s very simple. Life is a choice. You can choose to live it or just let it drag you on by. We want to ignite the passion for it among audiences and the public in general, so our society can benefit from it. What we are passionate about and our vision, is also actually our main challenge and obstacle to all that we do — sort of a double-edged sword. Everyone knows the performers you guys have booked, but we should also talk a little bit about the folks behind the scenes. Who are the unnamed fellows working hard to keep Getai Group ticking? Beside the three of us doing planning, pitching, design and finances, the people that we have constantly worked with along the way have always been gems and so ready to dive into anything with us. 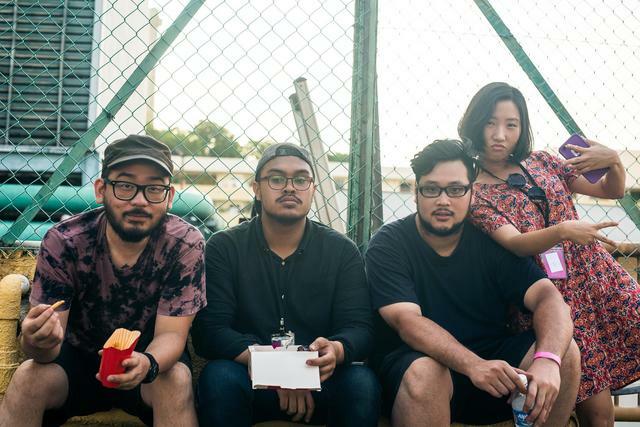 Audrey Tengkey and JR Teo from TAJ, Sarah Sim from Electric Milk and Juhardi Mohd from Dunce have been with us along the way. Asher Lim and Eugene Chia from The Animal Kollective have always been our point men in sound and technical direction based on the concepts we want to execute. Chris Ang and the BCube crew have always had our backs and it’s amazing how much they’re pulled through though at times we’ve asked a lot from them. And for Getai Soul we have Utha (Laneway Festival Singapore, Charlie Lim) from Blackbeard Audio helming things alongside The Animal Kollective and BCube to make this production an amazing one, working with a host of supportive vendors as well. The learning curves have been really steep, but we have had such support from the community that it is very heartening and gives us goosebumps. We started from scratch but what we’ve learnt from all of these guys is that we can’t do it alone and it takes a community to inspire a community. For that, we are forever in the debt of people who believe in us; and joyfully so. This forthcoming Getai Soul is another one in a long line of unique concepts for you guys. What inspired you to hold Singapore’s first ever soul music festival? Being a soul musician myself, I have always believed in the way this kind of music can affect you. It creates and inspires direct physical responses in the way it is heavily based in groove and melody. You don’t really have to understand it to move to it and enjoy it. Soul music covers funk, soul, R&B, jazz, fusion and hip-hop music, with influences form blues and African rhythms long before our time. The pocket and tribal approaches to rhythm speak to a very basal human nature, and soulful melodies and improvisation appeal to a freedom we all respond to. Soul music is very freeing in that sense. In Singapore, pop, rock and folk musical approaches are a lot more common in mainstream media and popular culture, though unlike our neighbours and even the West, soul music is still pretty much an underground genre. Getai Group wants to bring soul out into the light. Spread the groove, unleash the funk, expose the soul and cultivate interests in jazz and deeper appreciation of this underground genre. As such, Getai Soul was born. We knew it would not garner the same attention as a pop or rock-based festival, but that’s exactly why we are doing it. We want to bring out things that people can explore and learn from rather than things they already know. 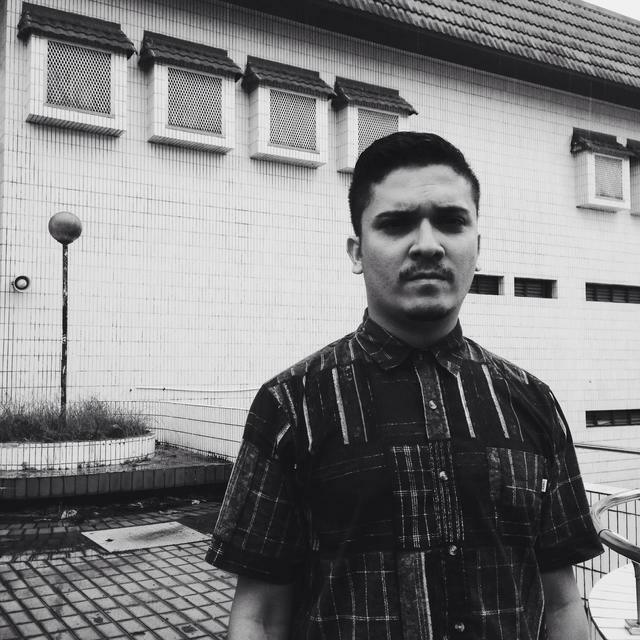 We also recognize a strong soul presence in Singapore musicians that goes unnoticed and under-appreciated so we thought, “Why the hell not?”. This coupled with overseas acts from the region like, Najwa from KL, Barry Likumahuwa from Jakarta and Za Feedo from Japan, we thought it would be the perfect mix of Asian soul musicians to inspire Singaporean audiences. To add to this, we are going to do it all in a Chinatown park, Pearl’s Hill City Park, to maximize earthy and roots-vibes to activate the soul. You get to experiences some of the best in music in Singapore and the region, some of the best instrumentalists with some of our powerhouse vocalists and soloists all playing on the same stage. Instead of just popularity and face-value, you will experience how high of a level Singapore musicians have pushed themselves to. You will be proud and start to believe in what we have to offer from that point onwards, till it trickles down to everything else in your life. Beyond what you will experience over these two days, you will start to believe in Singapore’s music scene, Singapore’s arts and dance scenes, and also believe again in our roots and heritage. We will make you feel something much deeper than a superficial association with being at a cool venue and event. We will make you realize that “If they can do it, I can too” because these guys are your fellow Singaporeans and Southeast Asians who are fighting for their beliefs while having the time of their lives! Getai Soul will show you what it means to have soul in your life, and that it is not limited by fear or insecurity but only by the self. Ultimately we want the crowd to walk away enlightened and energized to make their lives and the lives of the people around them that much richer. We hope this is enough for you not to miss it for the world! Let’s look ahead. After Getai Soul is done, what do the coming months and years hold for the Getai Group? Are you planning more major events? We have a ton of ideas, big and small, some more achievable in weeks while others, years. We love activating alternative spaces and toying with concepts that haven’t been thought of or thrown away by previous limitations and challenges faced. We have a vague idea of bringing back Getai Electronica bigger than ever in the future and expanding the Getai Group brand within the region too, while also going into smaller spaces around the city, ghetto as hell, making unused spaces vibrant and cool once again. We also want to highlight untold stories and evoke emotions and memories through the experiences we create, to always make people remember who they are and where they come from, because that’s what we ourselves always try to do. We’re getting used to it all and finding our footing in things, but also working to keep us moving onto newer ways to engage the community and create more platforms for the arts. Yeah, that’s what we really want to do in the long-run. Getai Soul 2016 takes place on 7 May to 8 May at Pearl's Hill City Park. Click here for more details.